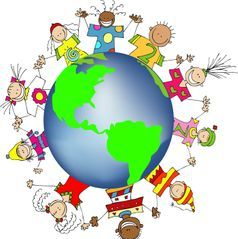 Scoil Bhríde is committed to creating and sustaining a safe, positive and inclusive environment for all pupils, staff and parents/guardians. We believe that all pupils, staff and parents/guardians have the right to be protected from bullying and abusive behaviour. We also aim to ensure that individual cases of bullying will be dealt with consistently and in a constructive and fair manner when they occur. Please click here or on the image to read out anti-bullying policy. 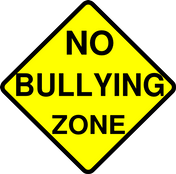 · an imbalance of power between the person on the receiving end of the bullying and the person or persons doing the bullying. Bullying is when one or more people physically, emotionally or psychologically hurt or cause harm to a person who is in a weaker position than him/her/them, and so is less able to defend himself/herself. Bullying usually happens over a period of time, and consists of a series of different incidents. Physical – hitting, kicking, spitting, tripping someone up, stealing/damaging someone’s belongings, etc. Verbal – name-calling, insulting a person’s family, threats of physical violence, spreading rumours, constantly putting a person down. Emotional/psychological – excluding someone from a group, humiliation. ethnic origin or faith, name-calling, graffiti, racially motivated violence. Sexual – sexually insulting language/gestures, name-calling, graffiti, unwanted physical contact. Homophobic – insulting language/gestures based on a person’s actual or perceived sexuality, name-calling, graffiti, homophobic violence. Electronic – bullying by text message, bullying on the internet (in chat rooms, on bulletin boards and through instant messaging services), hate websites. Bullying is the abuse of power by one person over another. All of the types of behaviour listed above are unacceptable and will not be tolerated at this school. This is a short PowerPoint that explores the qualities a good friend should have. This activity helps students get to know with their classmates. To play, students must find friends who meet the given criteria and add their names to the list. A short story with thought provoking questions and options for acting out scenarios and making anti-bullying posters. and boundaries around internet use in our homes. As parents our natural desire is to keep our children safe. they are doing and who they are doing it with. children have a positive experience when they are online. and risks they need to be aware of. explaining new apps and technologies, and lots more. The Parenting Positively booklet gives information on bullying and what to do if you are being bullied. It also will help you if you are involved in bullying someone yourself. You might want to read it on your own or with a parent or adult you trust. Click here or on the picture to access this booklet. The internet can be a wonderful source of knowledge and entertainment for children. It is a world of fun, learning, creativity and communications. However, the internet is not controlled by any organisation and therefore there are risks involved with it's use. There are many ways that you as a parent can help to protect your children from online dangers and ensure that your child's online experience is happy and productive. Click on the image for more information. We want everybody to be safe when using the Internet at home and it is a good idea to have agreed rules to to help everybody stay safe online. Click here for a downloadable contract that you can use with your family at home. This link (Click here) contains information on managing risk online with a particular emphasis on social networking sites, using search engines, online gaming and parental controls.Remember Parental Involvement is key!!!! 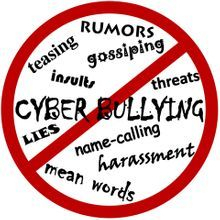 Cyber bullying is targeting someone through the use of technology and is quickly outpacing traditional forms of bullying. Bullying and cyber bullying are two sides of the same coin. Both are linked and display many of the same patterns, characteristics and methods. Both have a massive impact, physically and mentally, on victims. For information on how to tackle cyber bullying click here or on the cyber bullying image above. important because 1) if something goes wrong, we want our children to come to us and 2) as the Internet becomes increasingly social and mobile, a parent’s guidance and support are ever more key to young people’s well-being in social media and technology. Click here.